In this competitive retail market, Point of Purchase (POP) Displays are vital for attracting consumer attention and ultimately increasing sales. Attractive point of purchase displays sell products more quickly than traditional displays by cutting through the retail clutter. Accurate Metal Fabricating has been a supplier of components to the POP industry for over 70 years, during which we have been privileged to assist in the engineering and manufacturing of many POPAI award winners for our POP customers. The world of displays has grown increasingly complex and intricate, but we are proud of how our dedication and capabilities have advanced the way display components are designed and utilized. 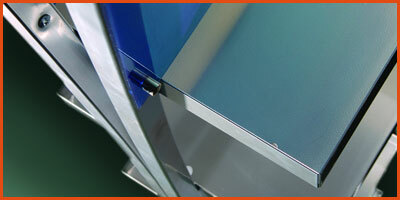 Our capabilities enable us to manufacture complex and intricate components for POP displays. With an array of machines, hundreds of tools, and seven decades of experience, Accurate can handle essentially any forming, bending, or fabricating request. 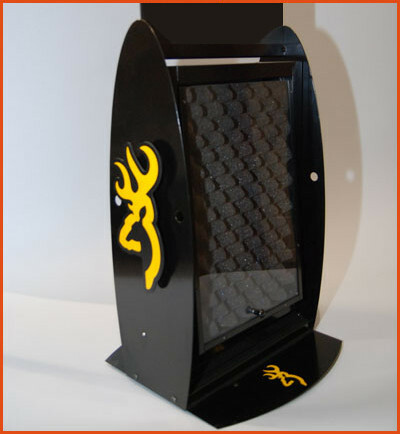 There are multiple finishes available for our POP display components including paint, powder coating, and anodizing. 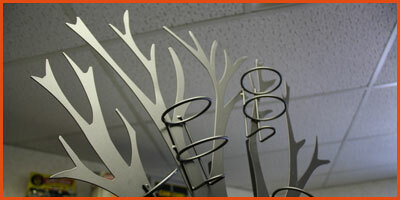 If you need to brand or decorate you POP display, we have many options. One of the more unique and permanent forms of customization can be accomplished through our custom perforating capabilities which enable us to incorporate logos and graphics into any structural design through perforating. 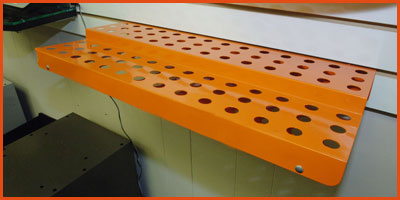 A perforated graphic is achieved by altering the perforated hole size to create an image. Our staff can pixelate an image and then program equipment to punch a variety of holes at very select spacing patterns in order to create whatever graphic you’d like. We can also apply printed labels or screen printed graphics onto your display in order to advertise your product or as decorative elements. Integrated graphics and logos can provide a consistent branding opportunity for your product and company. Our commitment to quality service, adaptability and timely delivery speak for themselves. 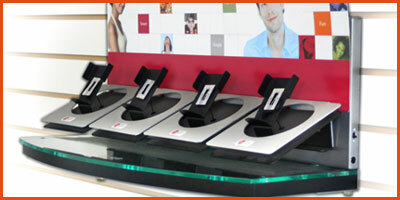 We offer custom designed and manufactured POP display components and will assist with any design idea. We are committed to working with you in order to complete your original design ideas, priding ourselves on our commitment to integrate any custom design. We have the equipment, expertise and customer service focus to build quality components for your POP displays and to deliver on time.